In March I finally let myself get sucked into the world of Percy Jackson, and it has been awesome! I cannot believe I put off reading Percy for so long, these books are so much fun, and I just adore all of the characters. Percy is like a sassier, more ADD version of Harry Potter, and I love the Greek Mythology. Empress of a Thousand Skies, which was one of my least favorite books I have read recently. Check out my review HERE. Caraval, which was much more enjoyable than I had anticipated it to be, and you can see my review HERE. We Are Okay, which was a really short but moving book about loneliness and sadness and the importance of family, and I really enjoyed it. I am getting to that point in my bookstagram and blogging life that I am being sent books by publishers and authors and IT IS AMAZING. I didn’t mean to end up with this many books this month, but when the book fairy TM drops something off on your doorstep, you’re not going to send it away are you?! Anyways, here are all the books that I SOMEHOW, IM NOT SURE HOW, procured during the month of march. Nemesis – which I cant wait to read! The premise sounds so interesting and weird! 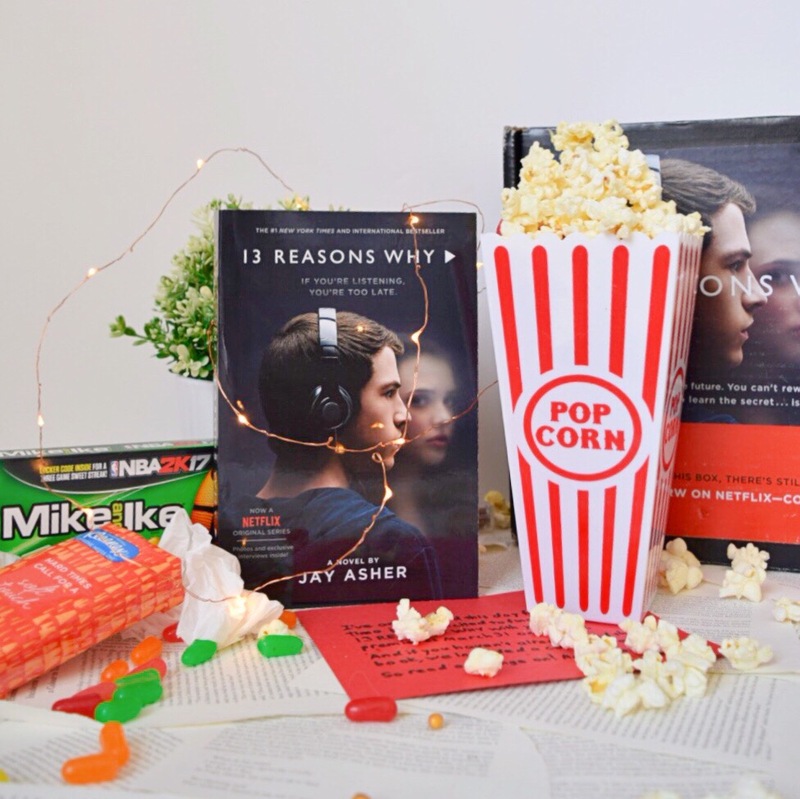 13 Reasons Why – came in this awesome 13 reasons why survival pack with candy and popcorn and tissues. I read this book years ago, but I am glad to have a new copy! Once and For All – another awesomely put together box, with chocolates and postcards! Strange the Dreamer – the most gorgeous book in all of existence. The Song Rising Collector’s Edition! I actually ordered this book LAST AUGUST, and was devastated that it didn’t ship right when the book came out, but it is now in my possession and the wait was so worth it. Ever the Hunted – which is MESMERIZING. I love it. ANNNNDDDD that’s a wrap! I know I always do these so late into April so no one should even care anymore, but I know its everyone’s secret guilty pleasure to check out all the books that everyone else acquired during the month. I know this. Don’t lie. Previous postCaraval – Hype Buster or No? i love doing them i don’t know why i put it off so much!